Do you like to reach more users for your content? Or do you like to meet up all your customers at one place to discuss, get feedback or to expose yourself? Then social media is one of the best options you can find nowadays and enables you to find more customers, readers and fans to engage with your brand, business, organization or whatever public entity you might wanna represent. Facebook is a popular social media network where you can find huge sum of users spend their time and interconnected with their friends, families and related parties. So you can find more interested parties over Facebook for your brand, business or even for your blog. But how do you make use of Facebook to get more exposure to your business and to reach more users? Facebook page feature enables you to represent your brand, business on Facebook as a single entity. It helps you find more users interested in your business on Facebook or you can share your page among friends to reach more interested parties. It makes more convenient for you as people spend much time on Facebook. 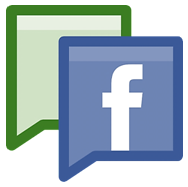 Using Facebook page you can discuss upcoming events, products, news or even a blog post you have published. Also your fans get notified whenever you posted about event, news or fresh content at their news feed. So they don't need to step into your page after they liked it. It's an awesome way to grab more feedback, stay in touch with your fans and you can promote yourself without being worry about advertising. Let's take a look how to create a Facebook fan page. You need a Facebook account to create a fan page. Sign up for new Facebook account if you haven't become a Facebook member yet. 1. Go to Facebook Page Creation page. 2. Select the suitable category of your page and click on it. Note: If you are looking for creating a page for your blog or website, select Cause or Community for now. Later you can change and select most-specific category. 3. Now select your sub-category and fill in basic information. 4. Now tick to agree with Facebook terms and click Get Started. 5. Then you'll have to go through a wizard. Add a profile picture, page description and Facebook web address through the wizard and continue until end of the wizard. Note: The wizard is not compulsory and you can go through those steps later too. 6. Now your page has been created. Click on Admin Panel button on top right corner. 7. Click on Manage drop down button. 8. Select Edit Page setting. 9. Now navigate to Basic Information tab. 10. Now you can check in more specific categories and add more information for your page here. Note: If you were unable to find your suitable category earlier at page creation, here you can find more categories and specific sub-categories. For example, if you wish to create a fan page for your blog, you may have selected Cause or Community earlier. But here you can find a category named Website & Blogs for your blog. 11. Save Changes once after you done with settings and you can check other tabs for more settings such as permissions, managing admins, insights. 12. Make sure to add a simple and relevant cover photo for your page using Add a Cover button. 13. Now you have successfully created your fan page with compulsory information. You can share it and start posting on your Wall. * You can see new notifications, insights, messages on Admin Panel. Make use of Manage, Build Audience buttons in Admin Panel to edit your page, view activity, see banned users and invite your friends. * You can easily promote your page with short URL by appending your own preferable username. Navigate to Facebook Usernames page and select a username for your page. However, once you set a username for your page, you won't be able to change or transfer it. * Explore our Facebook related posts to see more posts related to Facebook fan pages. * In case if you wanna delete your fan page, read How to Delete Your Facebook Fan Page. I was really looking for this for a while, just want to know whether this is the same thing that to which we called as business page or it is something different to this?